Tall "ball" mug by Kim Morgan, bought new from Pipi Gallery. I have only seen Kim's work on line and at Rick Urban's gallery before but this mug was nevertheless easily recognisable to me as his work. 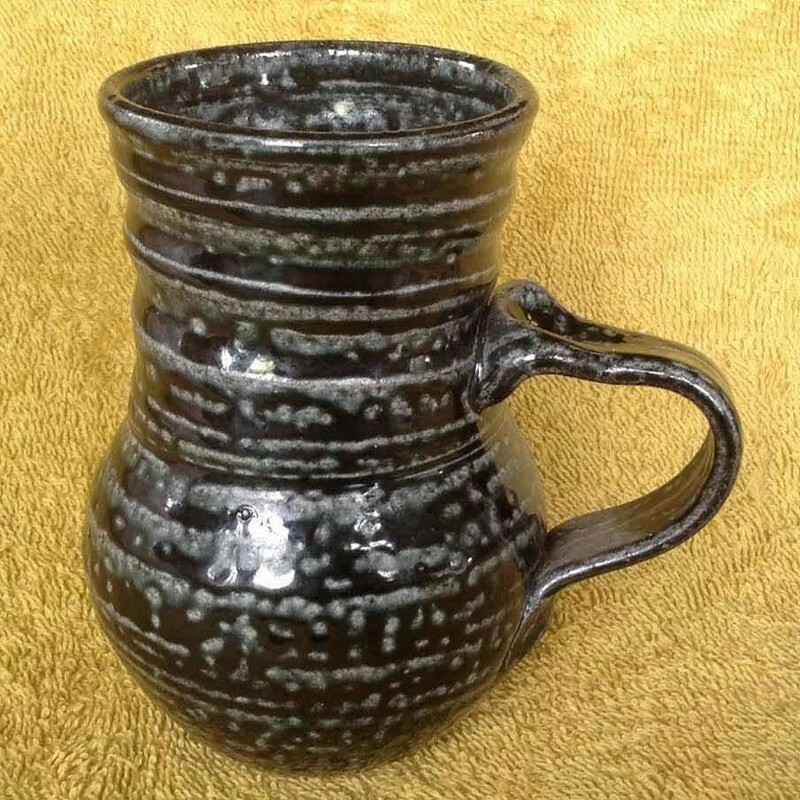 Perhaps the mix of black ash glaze and salt/soda. The handle is the same as Kim's mugs seen online. I'd describe this one at about 12cm high as a tall "ball mug". Kim's work often features a "K" pressed proudly into the side of the body but I see none on this mug.